According to the trending topics on Twitter, it was Dr Seuss’ birthday yesterday and I hope you had a blast re-reading one of his books or googling his numerous witty quotes. Dr Seuss has been our favourite author ever since we read “Oh, The Places You Can Go” last year in bed. It was a great morning as we took turns to read the pages each other. And I’ve captured the memory of that perfect morning right here. Reading that blog post again made me smile. She got me this book (pictured above) as one of the numerous gifts for my birthday package and she said it reminded her of me and I love it! 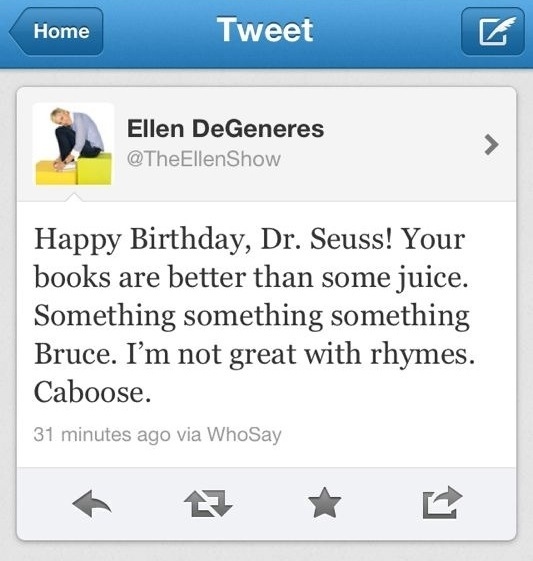 So who exactly is Dr Seuss? Theodor Seuss Geisel (2 March 1904 – 24 September 1991), better known by his pen name, Dr. Seuss, was a famous American writer and cartoonist best known for his children’s books. 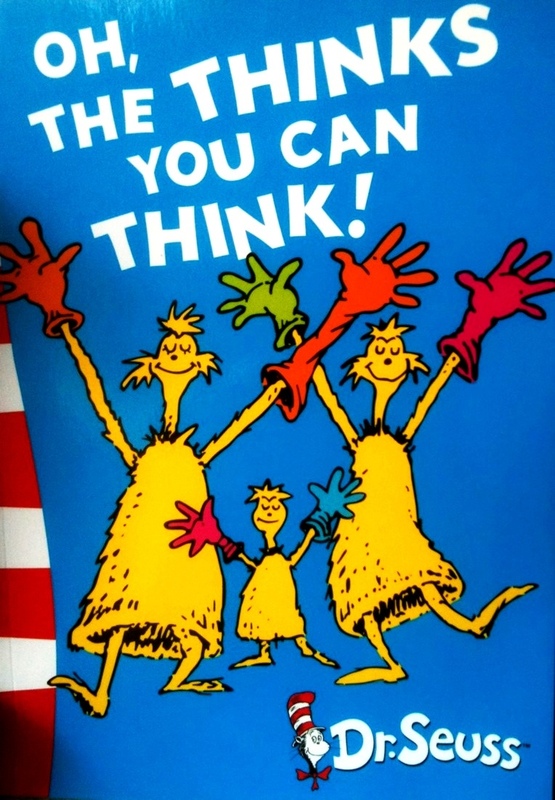 By the way, is it weird if I have been reciting any Dr Seuss books in a Cantonese accent?